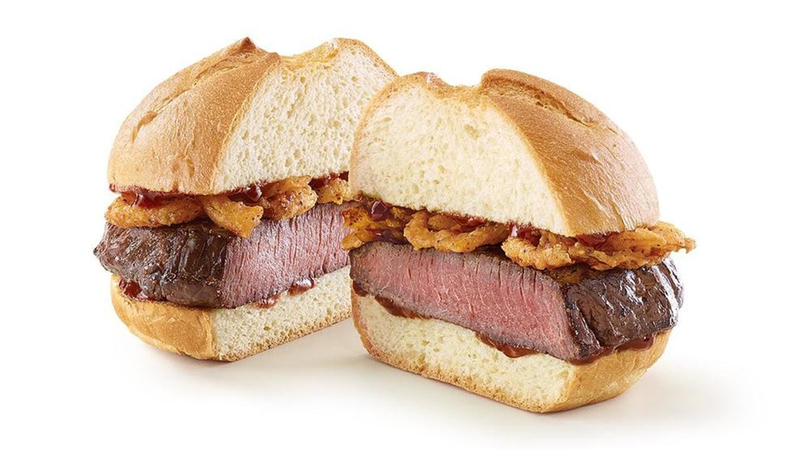 They have the meats, and at the end of October, Arby's will be adding a venison sandwich to their menus nationwide. Last November, the company offered the sandwich to select stores in Wisconsin, Minnesota, Michigan, Pennsylvania, Tennesee, and Georgia. But now they're rolling it out to stores nationwide on October 21 so any meat lover can get their venison fix. The sandwich is made up of a thick-cut venison steak, crispy onions, and a juniper berry sauce on a toasted specialty roll. The venison is marinated in garlic, salt, and pepper. According to a company spokesperson, when they first debuted, the sandwiches were a huge success and sold out within hours. "The positive response to our limited offering of venison last year was so widespread	and passionate that we knew we had to find a way to offer it nationwide," said Chief Marketing Officer of Arby's Restaurant Group, Inc., Jim Taylor in a news release. Arby's is also offering an elk steak sandwich at three restaurants in Colorado, Wyoming, and Montana, also beginning October 21.